CANS 2017 will be held in Hong Kong, organized by Department of Information Engineering, The Chinese University of Hong Kong. Earlier editions were held in Taipei (01), San Francisco (02), Miami (03), Xiamen (05), Suzhou (06), Singapore (07), Hong Kong (08), Kanazawa (09), Kuala Lumpur (10), Sanya (11), Darmstadt (12), Parary (13), Crete (14), Marrakesh (15), and Milan (16). 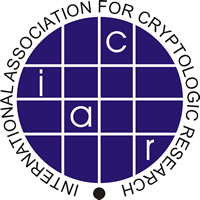 CANS 2017 is held in cooperation with the International Association for Cryptologic Research (IACR). All accepted papers will be presented at the conference and will appear in the conference proceedings, which will be published by Springer in the LNCS series. The proceedings can also be accessed electronically. The conference will be held at the Chinese University of Hong Kong (CUHK). Please check this campus map showing the various nearby buildings hosting the conference. or our Facebook page for photos showing the outlook of the building. Social events: There will be a welcome reception on Nov 29 5:30-7:30pm (Lobby of YIA). Banquet (House of Canton (翰騰閣), Festival Walk) is on Nov 30 night (Shuttle Bus from Cheng Yu Tung building on Campus to Kowloong Tong). Lunches (S.H. Ho) and tea breaks are available for Nov 30 - Dec 2. The main technical program will start from Nov 30. Official languages of Hong Kong are Traditional Chinese and English. Over 95% of the residents speak Cantonese. English is the common language in international business. Most taxi drivers in Hong Kong know some English. Please have a few hundreds HK Dollars cash in handy when taking transportation. Octopus is widely deployed (not for taxi though). Weather (current and 7-day forcast) can be checked from Hong Kong Observatory. The typical temperature range in winter is around 14-24°C. Electric sockets in Hong Kong are of type British BS-1363 and operate at 220-240 volts. You may want to check the (local information) page of Sigcomm 13, ProvSec 14, and ISC 14, some recent conferences co-organized by Dept. of Information Engineering, CUHK. If you got any question, please contact our general chair Kehuan Zhang. We will also setup special issues on topics overlap with the areas (e.g., embedded system security) covered by CANS 2017. Details can be found here.